Sapphire Coast Buslines has more than 40 buses and coaches on the road. They travel more than 3000 kilometres five days a week from Eden to Pambula to Merimbula to Tathra to Bega and all locations in-between. 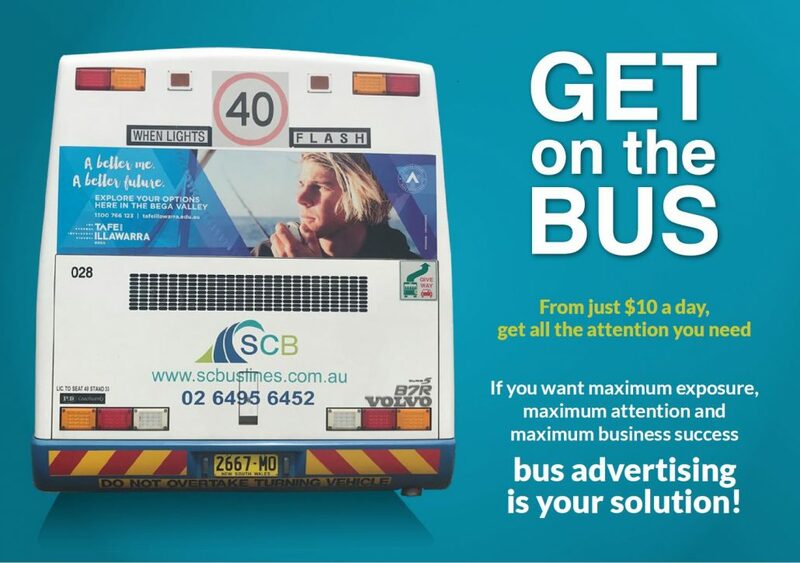 View our current Bus Advertising flyer for some examples of advertising on our buses and prices. To advertise your business is easy! Phone our friendly staff on (02) 6495 6452 or email us an enquiry.